The Committee was honored to be invited to Goodnight Elementary School to introduce their new mascot, the Longhorn. 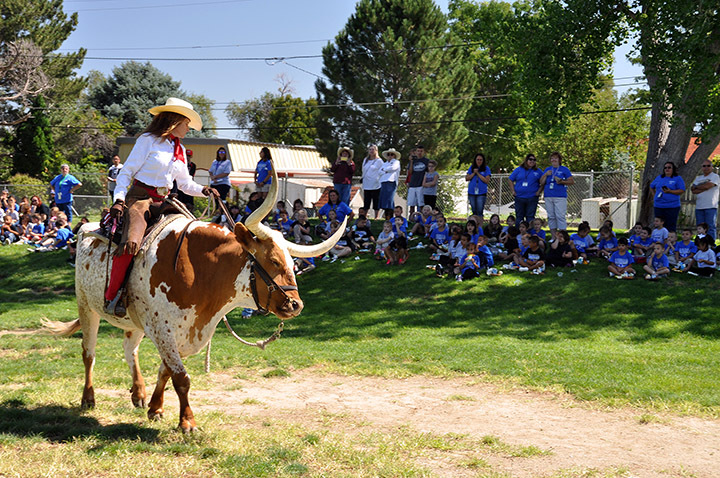 Blizzard & Boo, the trained longhorn and his rider were there with Doc, Blizzard’s owner to entertain the kids and teach them about Longhorns. The children all got free mascot T shirts, as did the Committee. It was a very rewarding day.